Use the sliders on our Finance Calculator to help you decide which finance options suit you best. Logic4training is able to offer finance through our partner arrangement with Deko (see examples below). Finance is available over 12 or 24 months and is subject to age and credit status. If you are accepted for finance this offer will last for 90 days. If the agreement is not commenced within that period another application will need to be made. The application will be submitted at the rate you choose but depending on your credit history and your risk rating you may be offered a higher rate. This is determined when you submit the application to the lender, we do not have any influence in this. A deposit is required to confirm the finance agreement. The finance agreement starts when you commence the course, either in the centre or as part of the online learning package. The 1st payment will be taken 30 days after the agreement starts. Gas Logic Ltd acts as a credit intermediary and only offers credit products through Deko. Deko is a trading name of Pay4Later Ltd who act as a credit intermediary. They are registered in England and Wales (company number 06447333) and authorised and regulated by the Financial Conduct Authority (register number 728646). 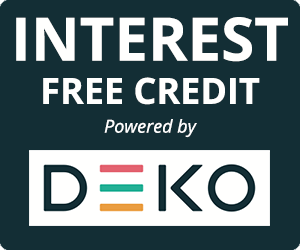 For more information please go to www.dekopay.com/faq or visit www.dekopay.com.. Finance is provided through the Deko platform by a number of lenders. You will be offered the best rate available based on your credit history and our lenders’ credit decision policies. You will be informed who the lender is at the point the loan is offered and provided with their full contact details.